Found The Sweetspot Yet?…………Feels Good Doesn’t It! It’s great after a blog post when some of you get in touch to say the tip has really helped to improve your putting.So,again “Welcome to P2 Grips!”.When you suddenly start hitting putts from the center of the putter it feels good…..and it feels a lot different.Here is also a blog post on “P2 Grips…Back in Time!”. However, Simon who’s an 11 handicap was in touch to say that even though he was addressing his putts from the sweetspot before trying the drill in my last blog post, his strike on the golf ball now feels completely different……in a good way. So, why is that? 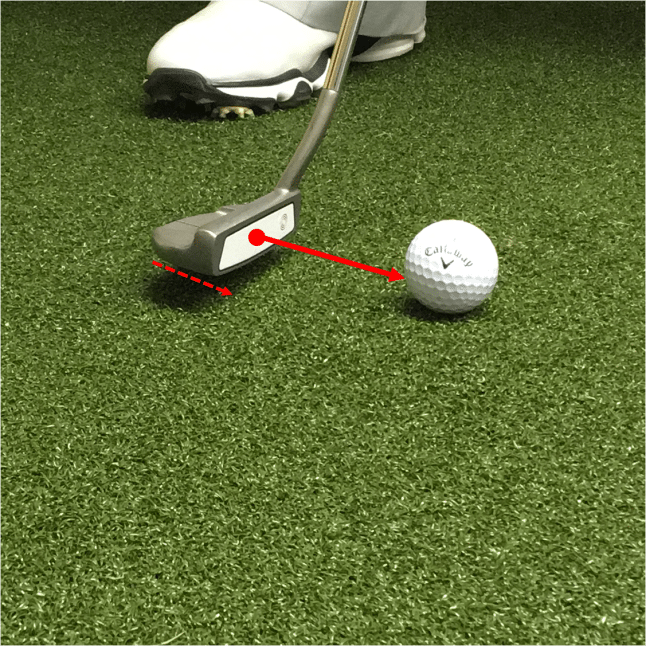 You would imagine that if you address the golf ball from the sweetspot of the putter to start with, then you put a good stroke on it, the strike on the ball should feel solid…..right? It became very apparent that even though Simon did not need the pencil to help him align the sweetspot and the golf ball, something was happening which was helping him strike the ball more solid at impact. What was it? 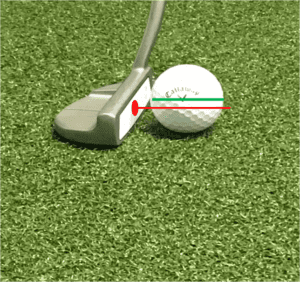 At address, you can see from the image below that the sweetspot of the putter is below the equator or center point of the golf ball.“Getting To Know Your Putter”. 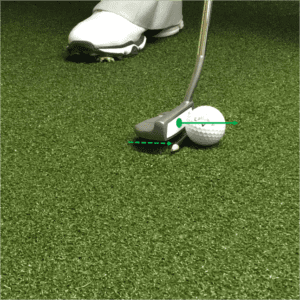 In order to ensure a good roll on the golf ball we need these two points to be level at the moment of impact, from this position they are obviously not level. If you position a pencil on the ground behind the ball, if your putter strikes the ball in a downward motion you will most likely contact the pencil every time. 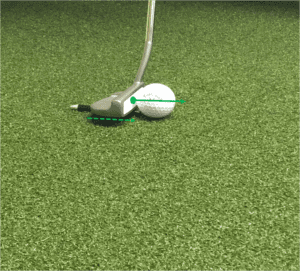 If you have tried my drill using the pencil (see “Finding The Sweetspot” blog post), you can see from the image below what it does to the sweetspot of the putter in relation to the centre of the golf ball. Both are now level at the address position, and because the pencil is in there you are discouraged from moving the putter back towards the ball in a downwards motion. 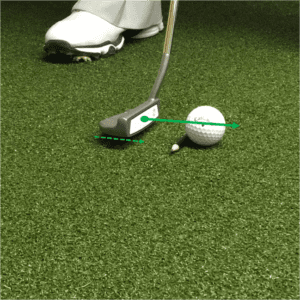 Aligning Your Putter With The Ball is also a key point. So, coming back to Simon, this is what was happening to him. Even though he was addressing the ball opposite the sweetspot, the subsequent mechanics of his stroke lead to inconsistent strikes which lead to an inconsistent putting performance. Position a pencil/pen directly behind the ball, but as close as you can to the bottom of the golf ball. Once you make your stroke, the pencil will act as a deterrent to striking down and will encourage a stroke that has more of a positive rise angle through impact. A positive rise through impact is crucial to a consistent roll, now this does not mean that we start to try hit up on the ball as much as possible, the putter head travelling just over the pencil is more than enough to get the ball rolling smoothly.You can “Rent P2 Grips From Clubs To Hire”. 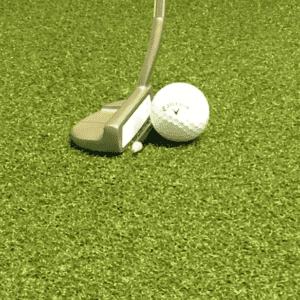 Take the time to spend a few minutes working on this drill, you can even do this on a piece of carpet in your home, but the difference you will feel when you take it to the course will be amazing. 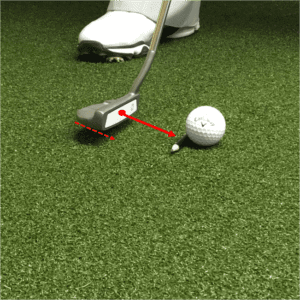 Next PostPutting Tips: The Holy Grail...Finding the Sweet Spot!